What are people really saying about Howard's work? SCHEDULE YOUR FREE 15-MIN INITIAL CHAT and discover whether Howard can help you. Having been scared/petrified of dogs for my entire life and as long as i could remember, at 36 and now a mother of 2 small children, I wanted to make sure i didn’t pass my fears and anxieties to them. I was sceptical of being ‘fixed’ in a short space of time but then I met Howard. Within an a couple of sessions with him (I’m not sure how) – he has compartmentalised this fear completely – I’m not a fan of dogs and a dog will never be my ‘best friend’ but I NO LONGER get that horrible feeling knocking on the door of somewhere and hearing a dog bark, I have no anxiety or issues being around dogs, them jumping up on me, licking me or otherwise. It has totally revolutionised my life and I’m no longer scared of going to parks in the summer. I have since recommend Howard to anyone who will listen to me! Great guy, great results. I recently visited Howard as I was trying unsuccessfully to stop smoking. After just one session with him I stopped completely. I couldn’t believe how easy it was and I cannot thank him enough. I came to see howard for some quite serious health anxiety. I have always had anxiety but this particular period was quite severe and have left me not only anxious but also experiencing some depression. I was very sceptical that I could see a change after only one session but after the 1.5hrs I spent with Howard I went from feeling 100 on a scale of anxiety to 25 in a matter of hours. I have since seen Howard for a follow up session and I highly recommend him to anyone suffering with anxiety or a phobia – I promise you he can help. Having suffered with trichitillomania (eyelash pulling) for over 20 years with very little understanding of why I did it (and deep embarrassment) I contacted Howard in a last ditch attempt to try and stop once and for all. Having tried various interventions (podcasts, CBT, will power!) I was pretty sceptical about the effectiveness of Howard’s approach and honestly thought it was something I was just going to have to cope with (and continue to hide) for the rest of my life. I am delighted to report that in the 5 or so weeks since my first session with Howard, I have not pulled at all and have managed to acknowledge the “urge” and reframe my thinking, when needed. It feels like a revelation and I am hoping this lasts (I’m assured it will!) but even a few weeks of not doing it is a positive change. 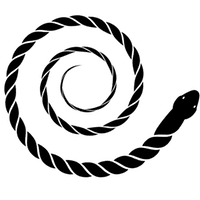 I have suffered with emetophobia (fear of sick) amongst other anxieties for 26 years & tried lots of different methods to help me overcome my phobia. I was recommended to Howard by a friend who had recently seen him to overcome her own phobias. After an initial free telephone consultation I could sense Howard had a different approach to others people I had previously seen. He kindly fitted me in quickly as I had an upcoming holiday which was making my anxiety extremely bad. After my first session, I managed to go on holiday and definitely felt much calmer than I had in the previous 6 months. A few weeks later I had a second session and discovered a number of new ways to deal with the anxiety and phobias that have been taking over my life for so long and most importantly a new way of looking at it all. I’m positive that these new methods will see me deal with my anxiety in a much more manageable way. Thank you Howard. Hi my name is Mark and I went to see Howard regarding a problem I’ve had for years… INSOMNIA… not sleeping! On first meeting Howard I liked him straight away, his approach is somewhat different and I would say unique. I’ve seen many Hypnotherapists before, but Howard makes you see things in a different way, completely changing your outlook of problem. It is what is says on the tin, rapid change! Very intelligent man and fun to work with and I can honestly say after two sessions, you come out feeling very much different and 100% better and more positive, thankyou Howard was a joy to meet you, and I would fully recommend you for anyone that wants a fast change in there life, it worked for me. It’s hard to believe the change in my 11 year old son after a couple of sessions with Howard. After many years of suffering from an extreme vomit phobia he now no longer gives it a second thought. The methods Howard uses are relaxed, offbeat and funny, so much so that you find it hard to believe they will have any effect! Nevertheless my sons mental wellbeing has dramatically improved to the point where he can enjoy life as any child should without the burden of that worry. I wouldn’t hesitate in recommending Howard. I first suffered from a bout of viral labyrintitus in 2008. I was, during that period, sometimes unable to walk without clinging on to lamp posts and walls. That condition came and went for many years until, in September 2018 I went seriously “wonky” again. I have an office on the 16th floor with floor to ceiling windows and after 5 months of no issues, suddenly I was unable to sit at my desk, would resort to sitting on the floor, and had the absolute certainty that I would be falling out of the glass wall, despite, mentally knowing that this couldn’t happen. In addition to this sudden re-appearance of vertigo, I had a work-trip to the US looming which I had to attend. My first steps were maybe what most people would take – firstly, I booked myself onto a Fear of Flying Course, a full day in Heathrow, including a flight, I then saw a vestibular specialist, who referred me to another “more senior” specialist, who eventually prescribed medication. The medication was prescribed a week before my flight to the US and I was in tears of desperation at that appointment, knowing the medication would take 6 weeks to kick in and I had a flight in 5 days. Two sessions later, so within a total of 3 hours, I found tools that meant I could get on the flight, be calm, know for absolute certain that I could deal with that flight and the apprehension prior to it, and that’s exactly what happened. I flew home on an early Monday morning, returned to my office on Tuesday, and am sat by my window, happily looking onto the London landscape, without a wobble, a sweat or a fear in my head. I am not taking any medication. I was 100% skeptical about “hypnotism”. I am a solicitor, I don’t go for gimmicks and I always think a “qualified doctor” is best. I do not believe in miracle cures. However, I would encourage anyone to make an appointment with Howard, whether that is for a fear of flying, heights, spiders, or any other issue. I genuinely feel liberated and powerful to be able to cope with my vestibular condition, vertigo, and absolute fear of flying exacerbated by a medical condition, and incredibly grateful to have found him. Working for six years for a complete bully left me suffering from panic attacks in the work environment, which soon spread to other situations. CBT and NLP helped me manage them but they never went away and avoidance of situations that might cause them was often an easier option, meaning that I was limiting the things I did as a result. When I was referred to Howard I was sceptical that after so long he could cure me but it took him all of 1.5 hours and the panic attacks have completely gone. Don’t believe that you have to suffer. Howard really can help you and your life will change for the better. I thought you might be interested in my progress. I have just returned from three weeks cycling in France during which, my wife and I, visited the original place where my fear of heights/ sheer edges first manifested itself. 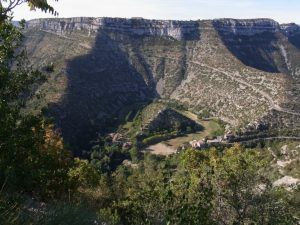 The place is the Cirque de Navacelles, an amazing huge hole in the ground caused by erosion, with very sheer sides – it is entered and left by roads that descend steeply clinging to the sheer edges. I am attaching a photo showing the road used on the way in from the rim, taken from our road out on the opposite side. We first visited in 1995 when I cycled down rather slowly on the left side of the road, as close to the cliff face as possible, absolutely terrified, while my wife cycled ahead of me on the (correct) right hand side of the road in case traffic came. This time I descended reasonably normally on the right side of the road next to the edge without difficulty. I won’t pretend I was unaware of the drop but I was comfortable with it which is quite something! Thanks very much for your help in achieving this – it hasn’t been seriously tested since I came to see you 2 years ago! We flew to spain in the summer and its the most relaxed flight i’ve ever been on! 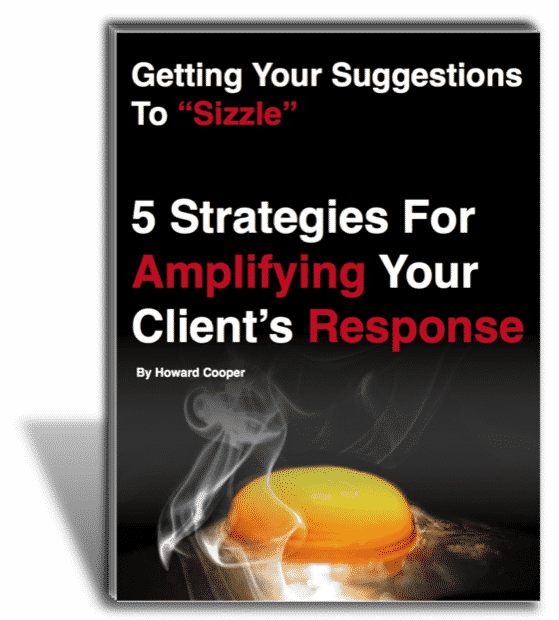 You commented that a client you had worked with was looking around for the fear, as it had gone away – and that literally was me! It has gone. I listened to the recording of the session you provided every day in the run up to the flight and practised the relaxation techniques religiously – i put in a lot of time and effort and it was very well rewarded. I cannot thank you enough for this it has truly changed my life, so once again – thank you! I cannot believe the changes in myself after just one session. After many many years of living in my small world I am already beginning to feel more confident about driving and flying and feel ready to do things I haven’t been able to do for many years. My life is changing for the better every day and the strategies you helped me to put in place are working.